As he struggles with cancer, legendary screen actor David Wheaton contemplates the one role that always eluded him: King David. Comparing his own life to that of the biblical ruler, David recalls his own numerous wives and children, forcing his daughter Emma to confront the memories of her family's unconventional past. As David's loved ones gather to say goodbye to their patriarch, Certain Women masterfully links past and present in an emotional story rich in dramatic tradition, showcasing the struggles-both ordinary and extraordinary-of family life. 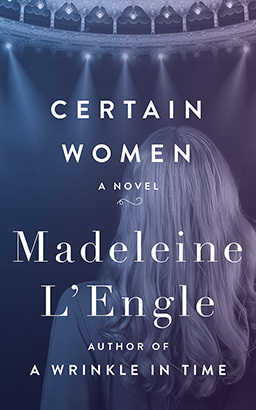 From the renowned author of A Wrinkle in Time, Certain Women is a wise and "memorable work" (Kirkus Reviews).